Gamification projects can benefit from storytelling features; these features can help arouse emotional connections with players. They can enhance the player experience and improve the longevity and fun factor of the gamified features. Let’s take a closer look at how that might work, even if you don’t feel that you are a natural story teller. An understanding of this will be like a powerful new tool in your kit, and one that can bring the world you create for your players that bit closer to reality for them. Author/Copyright holder: Pixabay. Copyright terms and licence: CC0. “For sale, baby shoes, never worn.” Stories don’t need to be complex to invoke emotions. In just half a dozen words, the reader has the fist-in-the-stomach tale of the infant who didn’t make it past day one in the world. You don’t need to write a novel for a game, but there does need to be some form of narrative. Sadly, Ernest won’t be available to write that ultra-brief story, but you shouldn’t need to look too far to find your own voice. There’s a popular fitness game called Zombie Run. 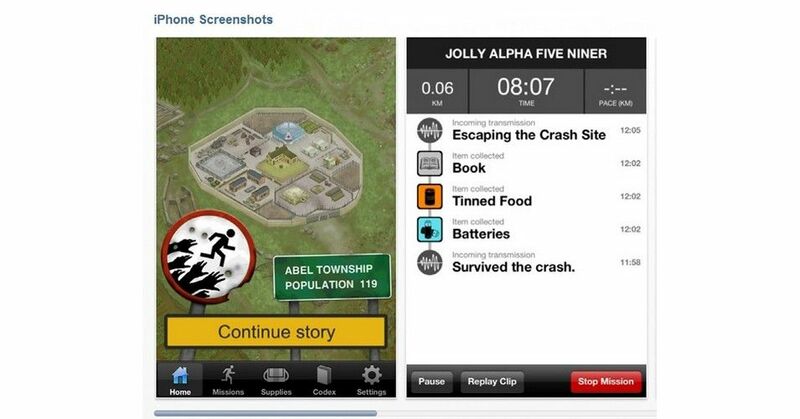 It tells players a simple story and tries to convince them that they are being pursued by zombies, hungry zombies. Zombies are wonderfully sinister villains, hence why they’re so successful in movies, in games, and in a bevy of other areas of popular culture. The player cannot kill the zombies, so he needs to run away as fast as possible instead. And run the player will, not least because zombies like brains (to eat) and have this awful habit of not being very reasonable whenever someone is cornered and tries pleading for mercy. The narrative is designed to encourage the players to participate in developing their physical fitness without explicitly stating that they need to get running in order to lose weight. If people build the world with their thoughts, they also paint their reality with emotions. We’re taught to keep them in check from an early age (and to varying degrees; we know people who went to very strict schools). Nevertheless, despite the point that emotions can lend themselves to unseemly behaviour (hence why talking loudly about politics or religion in a pub isn’t a good idea), we’d be lost without them. We wouldn’t even be able to feel miserable. We’re creatures of emotion. Our brains consist of three parts; the old brain (which deals with instinct), the mid brain (which deals with emotion) and the new brain (which theoretically deals with rational decision making). When you examine the way people behave, you will usually find that the new brain doesn’t really make rational decisions, but it comes up with a rational-sounding justification for your instinctual and emotional responses. This is a good thing. If you had to make a logical decision as to what to eat for lunch, you’d never go to lunch. You’d have to weigh up every possible lunch against all other possible lunches, and that would take the best part of eternity. What’s the point in having a choice if it means you starve, anyway? Author/Copyright holder: Pixnio. Copyright terms and licence: Free to Use. Choosing what to eat is not a rational process, even if it seems like it on the surface. The best gamification projects create a sense of fun and happiness in the user through a thorough understanding of fun, motivation and expectations and how to use game mechanics to influence them. However, an area that can be tempting to neglect is the visual appeal of the game. We are visual creatures, and great artwork tends to fill us with positive emotions, too. The artwork in your design creates ‘Wow’ factor and atmosphere—thereby enhancing game play exponentially. Many, many courses and books on design are out there (an Amazon search will produce many pages of results to wade through), and we couldn’t possibly incorporate even a small number of them here. Another consideration is colour scheme and cultural significance if your project is to go global. For instance, while it’s fairly safe to say that red is the universal colour of danger, fire, poison, etc.—take it with a grain of salt. In China, for example, red screams good fortune and positive ‘vibes’. It’s worth noting that this is a valuable area for further study for your gamification projects if you don’t have the right visual design professionals on hand already. You can use humour to enhance you gamification projects. Humour is especially valuable when breaking bad news to players; e.g., they’ve failed at a task or the server is down and they can’t log on that moment. We can see it on a very small scale in the chunky dinosaur who appears on some systems to tell us we’re offline. Being offline tends to annoy us; so, seeing that little guy takes part of the sting away. Using good humour, you can change a negative experience into a positive one. However, it’s worth noting that humour can be culture-specific and, if you’re going global with your gamification, you may need to “field test” any humour before releasing it throughout your organisation. It’s possible that what is very funny in the US or the UK may be particularly insulting in China or Brazil. Storytelling is a good way to make your gamification exercise more interesting for the user and, as you can see, you don’t have to make your story an essay for it to be effective. Laughter is a positive emotion but be careful — different things make different audiences laugh, and what might amuse one audience may offend another. Storytelling can add depth and emotional connections to gamified features within a system. You do not need to be a natural storyteller or to write a novel so as to incorporate storytelling into your gamification design. It’s always about creating something valuable for the player that helps you achieve your gamification mission. Emotional design also plays a role in gamification, and aesthetics assist in creating positive emotions. Don’t neglect graphic design as a part of this process. Your players are going to ‘inhabit’ the world you build for them, so build an atmosphere they’ll enjoy, and always try to make them smile. Those are the signatures of a successful gamification experience. Hero Image: Author/Copyright holder: Six to Start. Copyright terms and licence: All Rights Reserved. Used without permission under the Fair Use Doctrine. See the “Exceptions” section (and subsection “fairUse”) of the copyright notice.